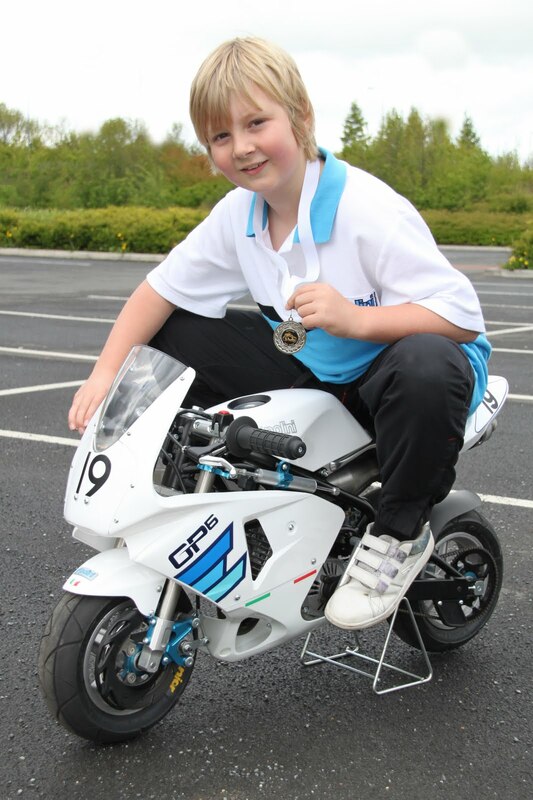 BikeWise Mini Bike Club's, nine year old, James Alderson travelled North with his parents Michelle and Stephen recently, to compete in the Scottish Mini Bike Championship's, at Kircaldy. This was Jame's first race meeting and he qualified on pole position and was third overall in his class after the day's racing. BikeWise is rightly proud of Jame's achievement and look forward to seeing his results over the season. Up to 30 cameras will capture the action on the circuit including onboard cameras, heli-camera and kerb cams. First up is the preview programme on BBC One Northern Ireland on Friday night May 14 from 10.35pm, live from the paddock with special guests. Live Red button coverage starts at 3pm on race day, Saturday May 15. 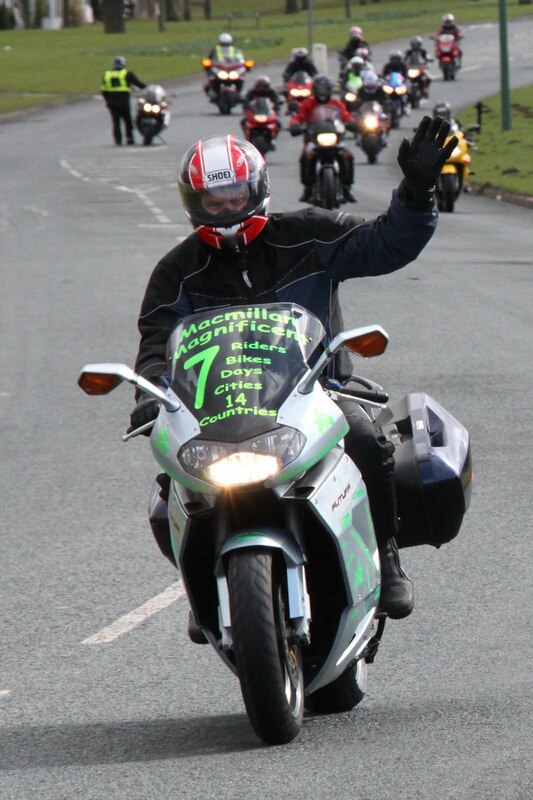 Two, one-hour specials on BBC One Northern Ireland on Sunday, May 16 at 10.15pm and Monday, May 17 at 10.35pm, will be presented by Stephen Watson with commentary by Keith Huewen, Steve Parrish and NW200 legend Phillip McCallen . We will be streaming every race live from 11am on Saturday 15th May, plus the two practice sessions : Tuesday, May 11 ( 7pm - 9pm ) and Thursday, May 13 ( 10am - 2pm). The coverage reached over 200,000 people in 87 countries last year. To add to the race and practice session web streams, we plan to add a second dedicated Pit Cam stream, which will focus on pit lane and the grid area, to let you see more of the activity around the mechanics and riders as they prepare to race around the circuit. Whilst HM Plant's Steve Plater suffered a broken arm in practice - John McGuinness will be flying the flag for our local companies Honda Racing team. Be Aware when travelling on the A689rd at the entrance to Killhope Lead mine. Directley opposite the entrance to the Lead Mine there is a tree felling operation. HGV's are turning in and out of this entrance and there is mud on the road. Please look at the photo's / map of the location and adjust your speed accordingly. Just west of this location there are some roadworks where a dry stone wall is being rebuilt (location of Durham's Wait a Second campaign). Temporary traffic lights are in operation. Meeting at North East Karting at Warden Law. Open to all Mini Moto's. Please Note : This event is ran by North East Karting and is NOT run under ACU rules/regulations and is not ran by Bikewise Mini Bike Club. Please check your emails and look at the website for the next date - as soon as we can check with County Hall re the availability of the car park at Carrville we'll post a new date. 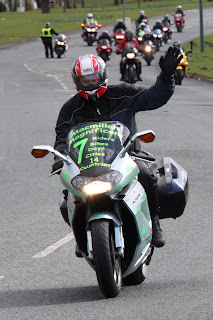 The next meeting of the BIkeWise Mini Bike Club is on Sunday 2nd May at Carrville Park & Ride, Durham. Signing on at 1000hrs for a 1030 hrs start.